64 Audio’s A6t is similarly a 6-driver model designed for professionals with a lively, impactful and energetic signature. Compared to the EM64, it possesses a denser, more concentrated midrange with an emphasis around 1-2kHz. The EM64’s is more upper-mid-biased with a breezier, airier delivery. And, it’s more forwardly-placed as well. Vocals sound lighter and breathier, while the A6t portrays them with heft and weight; almost as if the vocalist was pushing the note out of their chest. Combined with the A6t’s full-bodied, impactful bass, it’s probably the more fatiguing of the two to listen to. You’re almost bombarded with large bodies of music with just enough space to breathe. 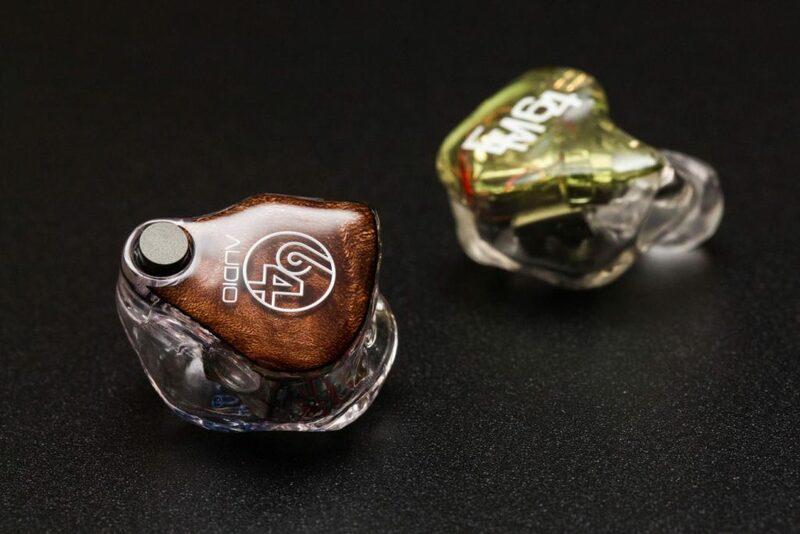 By comparison, the EM64 is lighter on the ear, but I can also see listeners perceiving it as insubstantial or lackadaisical relative to the A6t. The two in-ears possess similar treble responses. Both seem to peak around 7-8kHz and 12kHz. But, the EM64 does bite more crisply. This is indicative of greater upper-treble presence. This is also what gives its soundscape a relatively freer feel. However, the EM64’s pace allows its jabs to decay at a faster rate. Despite the A6t’s softer transients, they do tend to linger a hair longer. In terms of technical performance, I’d say they trade blows fairly evenly. The EM64 spans further upwards, while the A6t wins out in width. The former also separates with greater precision, while the latter’ instruments tend to slightly overlap for an engagingly cohesive image. Overall, I believe 64 Audio’s A6t to be more visceral, raw and rock out, while the EM64’s clean-yet-well-balanced sig excels in vocal projection, stage organisation and composure. 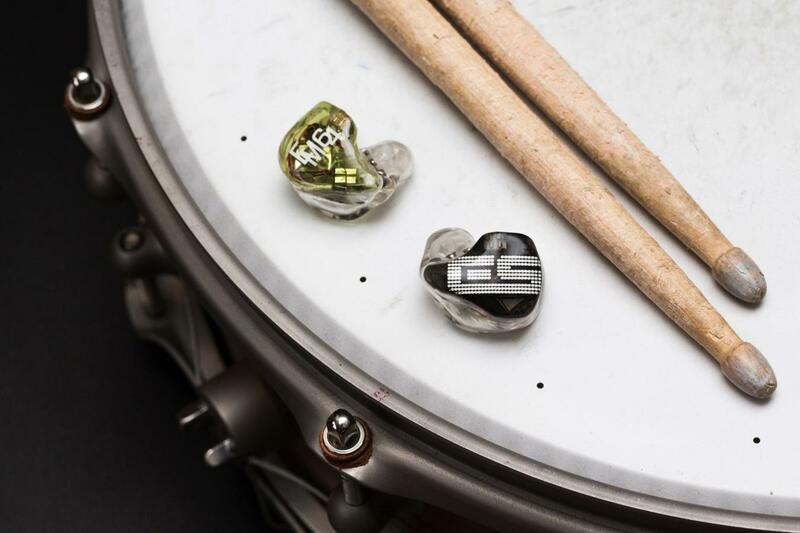 Ultimate Ears’ LIVE is the EM64’s philosophical doppelganger – IEMs designed to deliver the power of a live performance. And, it seems they share similar methods in achieving that as well. 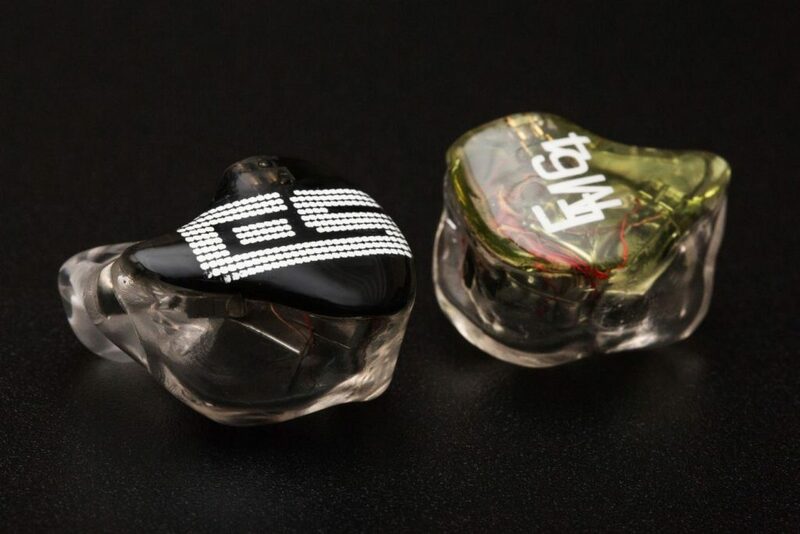 Both in-ears employ forwardly-placed, vibrant upper-midranges for strong vocal projection and increased midrange clarity. They allow the lead melody to pull you in, before surrounding it with the rhythmic drive and top-end detail. Now, the extremes are we start exploring the differences. The LIVE to me suffers from an incoherent top-end. Transients are loud, but inarticulate. Treble notes have body, but they’re rather mushy. The EM64’s top-end comes across a lot cleaner, crisper and airier, along with a tighter, neutral timbre. Because of this, the EM64 possesses superior spatial qualities too. Impressively, the LIVE does maintain a decently black background, but the EM64 possesses superior depth, layering and imaging precision. The LIVE also has a warmer, fuller low-end. The dynamic driver delivers realistic and solid-sounding thumps that truly does embody the “live” experience. This is especially true when I’m monitoring myself playing the kick drum. I hear an impressively transparent translation from listening to the drum directly and through the in-ears. The EM64 possesses a cleaner, airier, more defined low-end. It’s a tad lighter, airier and quicker by comparison. 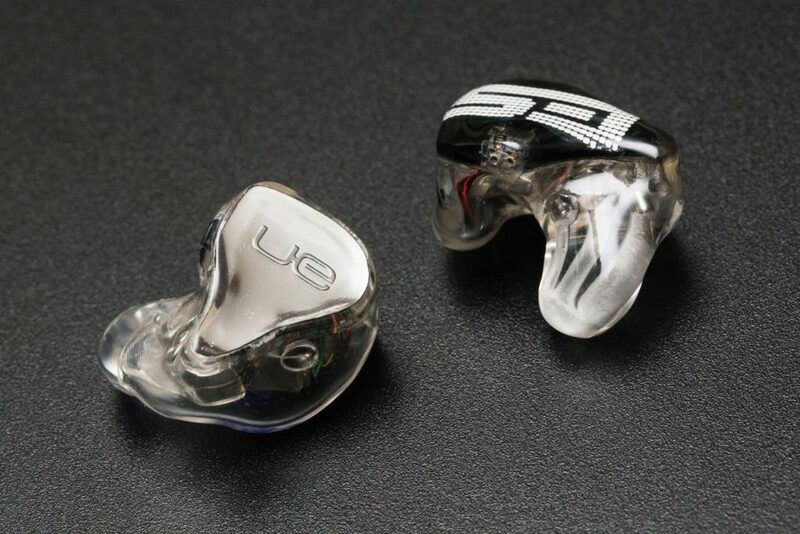 All in all, I believe both in-ears are excellent in their own respects for live use – the EM64 more so behind the console or behind lead instruments, and the LIVE behind drums and percussion. EarsSonics have truly excelled with the EM64 – offering a lively, dynamic and balanced sig with the technical prowess to match. Speed, coherence and extension make up the EM64’s sonic foundation; a stage with the stability, headroom and definition to make any track play with an almost rehearsed precision. And once TRUEWAVE does its thing, EarSonics is allowed their vibrant, vocal-led house sound without compromise. In that vein, there may be those who’ll take issue with the EM64’s lack of liquid warmth, or the slightest hint of treble bite. Then, there are others who may want more out of their purchase cosmetically. But as as an engineer and audiophile, I believe the EM64 is a promising proposition for pros and enthusiasts alike. An all-rounder with energy, refinement and tact at €1140? ‘Sounds like a pretty good deal to me.